Craft Public House is definitely one of a kind, and its spin on offering fresh, local ingredients paired with the best of craft brews is fueling its recipe for success in Greater Raleigh. I tried Craft Public House for the first time this month, and my only regret is that I didn’t try the restaurant sooner. I’m now making up for lost time and have dined at the restaurant located off Tryon Rd., near the Cary Crossroads Plaza area, two times in two weeks. Each time I dine here, I fall more in love with the menu. To me, it’s comfort food at its simplest. 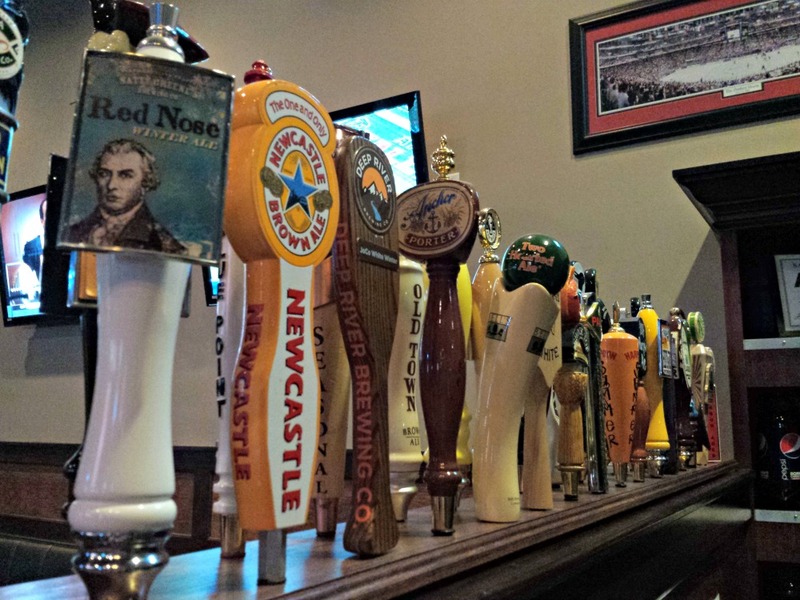 Owner Brian Cordileone likes to describe his restaurant as Cary’s first farm-fresh sports bar. He has partnered with several local farms to give his restaurant a fresh spin on serving casual dining at an affordable price point. 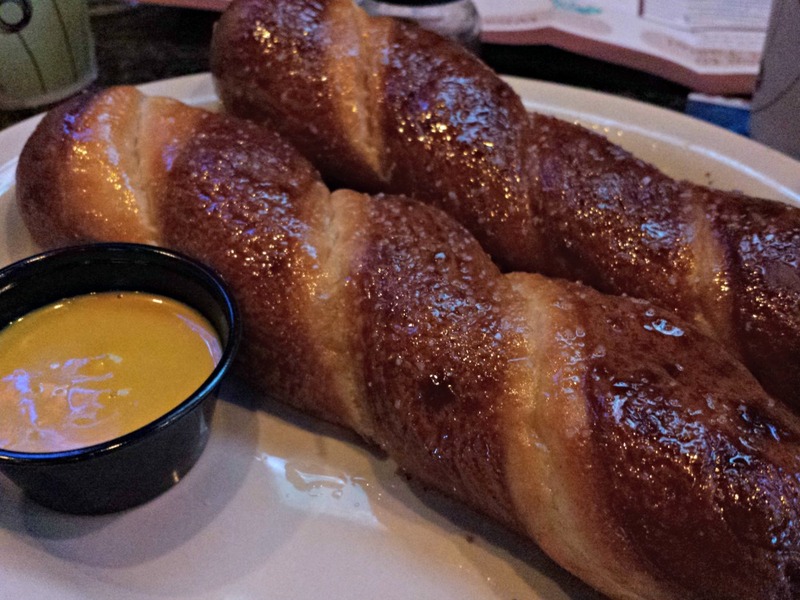 The house pretzel bread is a restaurant specialty, and it’s delicious. My kids went wild over this entrée. Diners can also choose to have their burgers served on a pretzel bun as well. 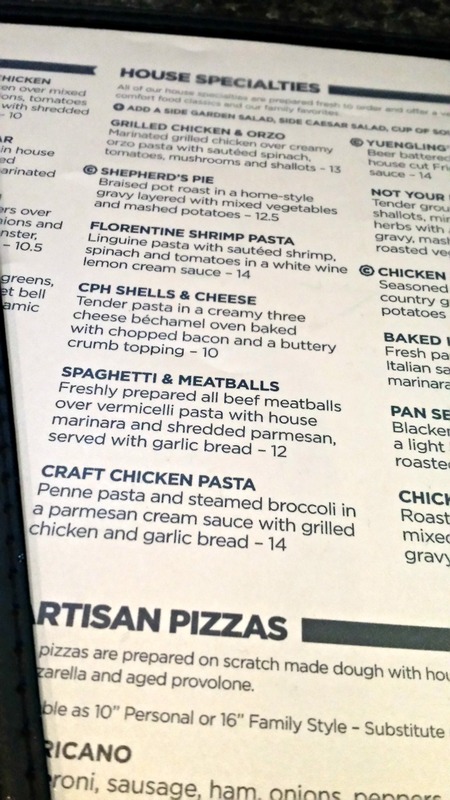 You can find anything on the menu here from fresh salads to gourmet pizzas to pub favorites like Shepherd’s Pie and fish and chips. On my first visit, I tried the blackened salmon salad. It was outstanding, if you love salads. But sometimes I just love to order yummy comfort food that usually isn’t very skimpy on the calories. For my second visit, I ordered the personal-size BBQ chicken pizza with a N.C. seasonal brew, Pumpkin Pie Porter. I had enough to take home for lunch the next day, but the pizza was so good that I almost ate the entire thing in one sitting. Yes, I love my N.C. seasonal beers, but Craft Public House also serves wine and house-crafted cocktails. The Elderflower Martini caught my eye. It is made with my favorite N.C.-made organic gin, St. Germain, basil-infused simple syrup and fresh lemon juice. 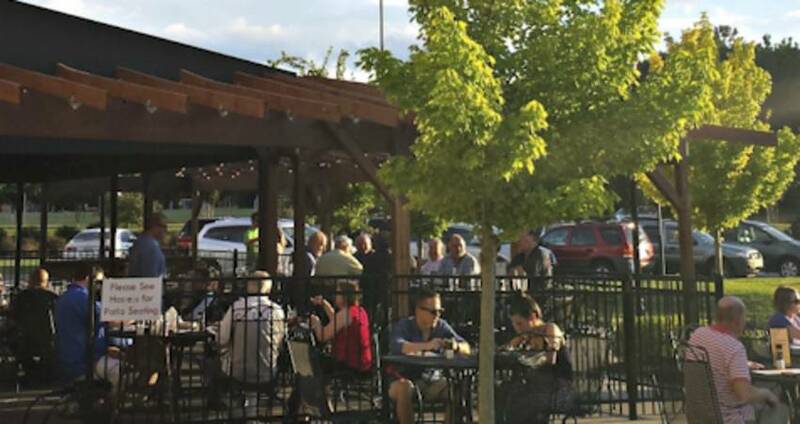 Craft Public House has indoor and outdoor seating, and also features live music seasonally. It is family-friendly and has a good children’s menu, including fresh chicken tenders made to order. 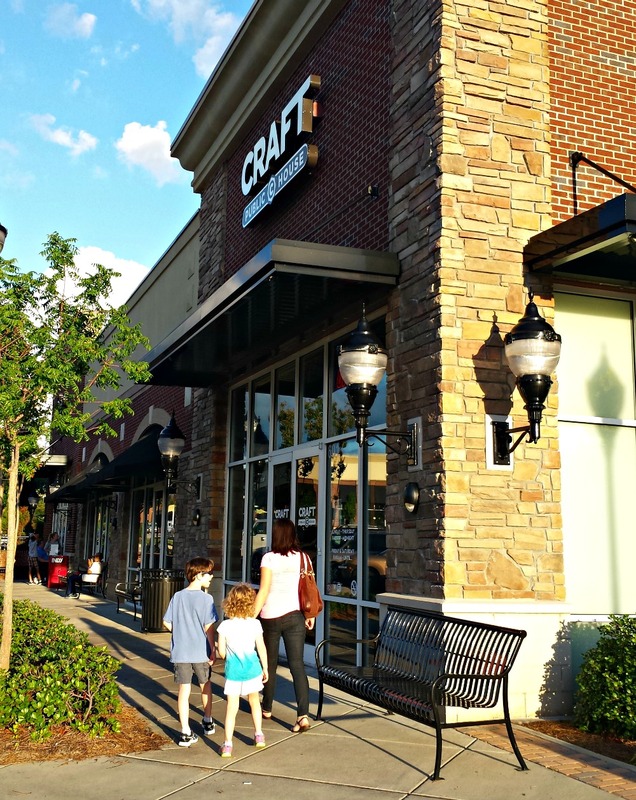 Craft Public House is located in Tryon Village Shopping Center, 1040 Tryon Village Dr. in Cary.